From the 17th May until the 15th June, photographers from around the world will have their work on show in Liverpool for the second edition of the city’s LOOK photo festival. The hope is that LOOK will continue as bi-annual event on the city’s art calendar, running in the opposite years to the Liverpool Biennial. Patrick feels that LOOK fills a niche not just in Liverpool, but the UK. The piece appeared on The Guardian in May 2013. The following was an interview conducted with photographer Kevin Casey about his project Closing Time, for which he photographed the many abandoned pubs across Liverpool. An abridged version of it appeared in the book of Closing Time, alongside an essay on the subject by myself which you can read here. KT: Tell me, how did this project began and, why pubs? KC: Basically, it started two years ago on my journeys into town. I live in Waterloo/Crosby, and I take the train to town for my job as a Gallery Assistant in Liverpool. 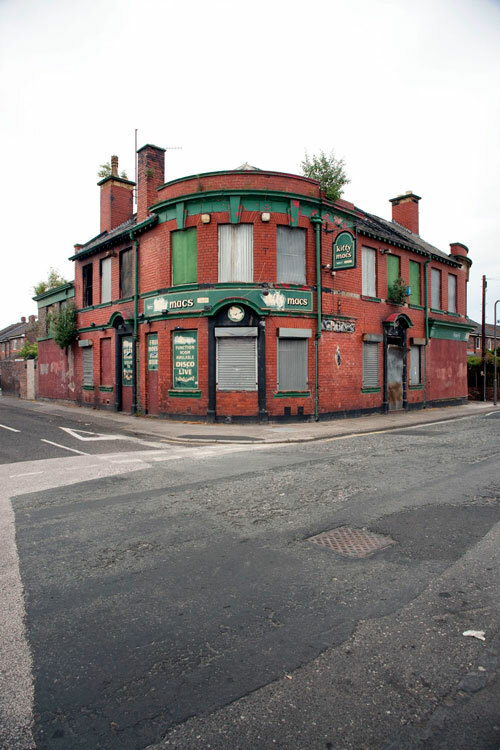 During that journey you stop at Seaforth, Bootle, Bankhall, Sandhills, and at nearly every stop you’d see a pub that was in disarray, or about to close down. I just thought, well, with my background being photography, I decided to photograph them. 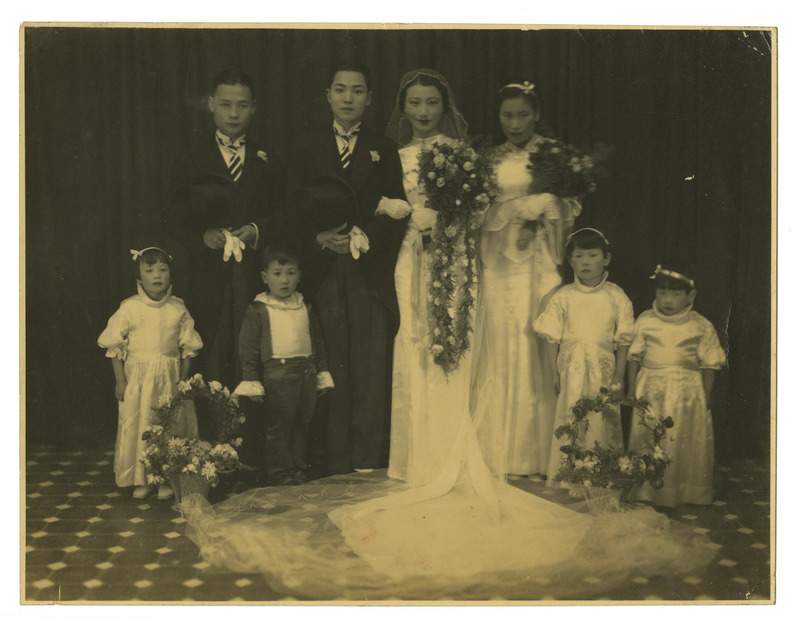 There’s also a link to my family. We’ve had quite a few pubs over a twenty-five/thirty year period, so I feel like I’ve got a bit of an intrinsic link to them, so maybe that’s why my awareness has been heightened. KT: How did you go about finding the pubs? KC: Initially it was ones that I saw on my journeys to work, or going to the football. I also asked my friends, family members who used to run pubs, if they knew of any pubs that had closed. A lot of the time when I was photographing, on the way to the location I’d find two or three pubs I’d never even heard of on the way. KT: When you were shooting, were you consciously trying to portray anything? KC: It’s impossible to be impartial when you’re documenting or photographing anything, but I thought when I was taking the images that if I could get them as uniform as possible, then hopefully you can see both the comparisons and the contrasts of each building. Basically my idea was to be as impartial as possible, and to show both the harsh reality, with slight sympathy, but not overly romanticise the images. KT: When taking these pictures, did you have a desire to preserve something, to capture it before it went? KC: I think one of the main things photography is used for is capturing the here and now, that is photography’s strength, and I’d like people to appreciate them now. But I also think that they might have greater emphasis in ten, twenty, thirty years time, when we look back on a lot of these buildings, when I think it’s a given that the majority of them will not be standing any more, or at least will not be a pub. KT: Tell me about your experience of shooting the images. Did it generate a lot of interest amongst passers by? KC: Yes, there was a lot of interest, and a lot of suspicion as well. Some people are more suspicious if you’re holding a camera than they are if you’re holding a baseball bat. Most people were great though. They’d stop and chat to you and take an interest, and even suggest or point out other places I could go to. A lot of communities, like say Kensington, a few in Bootle, a few of the ones near to town and Anfield, people were quite interested and wanted to get involved and tell you places where to go, and they’d always start talking about their childhood, and the places they used to go out. KT: What were your own feelings then, whilst shooting the project, having seen all these pubs, going to these communities? KC: You go through different stages. I think at first you feel, it’s such a sad and alarming thing to see, even before I started to photograph, witnessing and picking up on the fact that these places are closing down. Then you go through the sort of, selfish stage of ‘That’s a good idea for a project. It’s quite unique and it might get me some attention.’ And then you feel a little bit guilty for that, because your project is the fact that these things are in decline. Something draws a lot of photographers to that, there’s a lot of appeal in things that are declining, there’s a beauty, a sort of fallen grace if you like. So you do feel a bit of guilt sometimes that, even though you’re getting a great project out of it and doing good work, you are doing that good work through the misfortune of something else. But I suppose your role as a photographer is to document what you see, whether it’s a good thing or a bad thing happening in front of the camera. But I also had quite a lot of empathy towards it, because my family have been involved in pubs from a long time and I used to spend a lot of time from an early age in pubs that my cousin and my auntie and my nan used to run,. If you can get success out of a project, that’s what you want as an artist or a photographer, but I’m doing it in an honest way I’d say. KT: Tell me what photographers have influenced you, either in general or for this particular project? KC: I’m actually a big fan of the modern trend of ‘constructed reality’. Like your Jeff Wall, Gregory Crewdson, and Hannah Starkey as well, because I come from a bit of a fine art background as well as the photography, it’s almost like creating something in front of the camera. But I also love the documentary people, like you’re Walker Evans, you’re Cartier-Bresson, Brassaï. Then there was people like William Eggleston whose colour work was so raw and new at the time. Landscape wise, I love the Becher school; Edward Burtynsky, Andreas Gursky, the grand landscapes, high statements. There might not be a lot going on in the image but the power and size of the image forces you to look at it. Especially in colour, that’s definitely been an influence on me deciding not to shoot in black and white, because with people like Burtynsky and Gursky I think you can see the fading and deterioration of buildings and landscapes a little bit more than you can do with the Becher’s work in monotone black and white. You can see little details of these buildings, like the brickwork that is starting to erode, or the pub sign which has got faded paint dropping off, that was one of the reasons I decided to shoot in colour. It is the influence of them, but also just to retain the detail for future reference. KT: Was there a reason you decided to shoot them in portrait format? KC: I was shooting the images in a portrait format because you’re in a very, very tight space with some them, and I didn’t want to include too much background. If you can pick up a bit of the surrounding background, then that obviously adds to it, but I wanted the focus to be on the pub. I thought that the portrait format is a lot more direct in the way it is cropped. I also think it gives the pub a bit more personality, almost like people in a way. They’re all very similar but they’ve also got their own characters and that, which you can relate to portraiture. KT: You seem to have purposefully shot the buildings largely in isolation. There are no people in the shots and hardly any cars. KC: I think it was the South African photographer David Goldblatt who purposely used to include cars and people in some of his landscapes because in ten, twenty years time you can see the difference in fashions, or style of the motor car, in shot. So with me, I’ve been battling whether to include cars or people in the scenery. I’ve chosen not to have any people. In a few of the shots there are cars, but ultimately I didn’t want to detract too much from the actual buildings. KT: So were you trying to get the buildings to speak for themselves? KC: Yes…and no. That doesn’t really answer your question but…I wanted them to speak for themselves in the sense that, they didn’t need any extra help from me to show either the decay, or the loss, in some cases, of great architecture. I mean some of them are run down shacks that are not very beautiful at all, and some of them are actually beautiful buildings that have been left to ruin, but still have that element of beauty. So they do speak for themselves in that case, but if I said that phrase I think it would sound a bit cheesy. If someone wanted to describe it in that way though, I’ve got no problem with that. KT: How do you think this work fits in with other photographic representations of Merseyside? 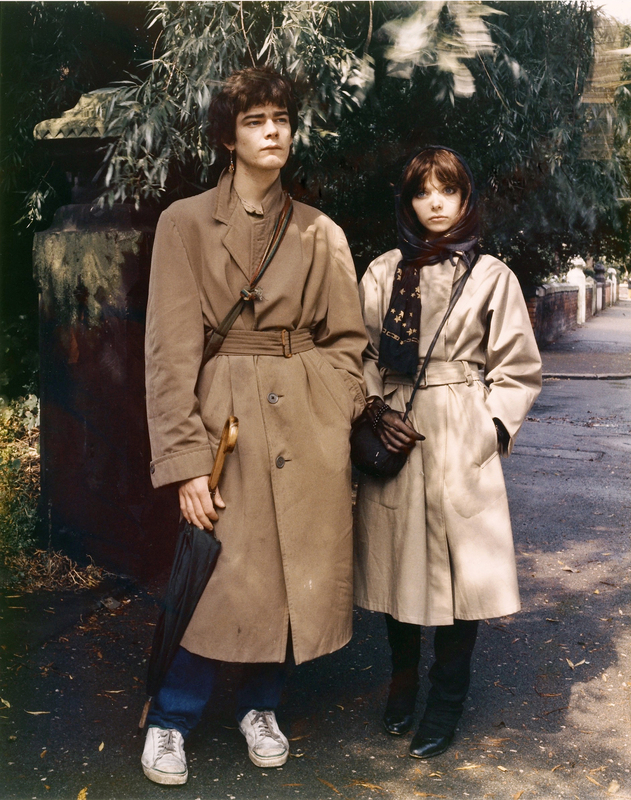 KC: I suppose the most well-known, well the ones that spring to mind, linked to Merseyside, are Martin Parr’s The Last Resort, and any given Tom Wood book. Bus Odyssey I suppose is the one he’s known for. I can understand that people get frustrated the only thing that seems to be popular linked to Merseyside photographic wise are decline, or a working-class way of life. I think there are a lot of other things that the city offers and a lot of positive things that are happening in Liverpool at the moment, I’m more pro-Scouse than anyone, but I think it would be naive to ignore the things that are going on, and that are in decline just to put a positive spin on things. Of course, pub closures are a national thing, but my experience was Liverpool, I’m from Liverpool, I know Liverpool. 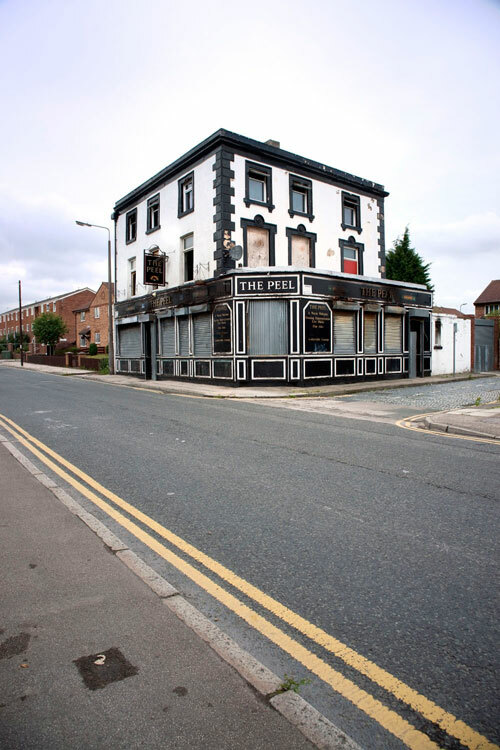 I feel that, because I’ve got a connection to the area, and even to some of the pubs, I’m not just showing decline in Merseyside of the sake of it, to add to the stereotype. KT: What do you think it is about Liverpool that seems to either suit the documentary mode, or appeal to documentary photographers? I’m thinking especially of photographers from outside the city that have come to shoot it, some of the most famous in the world; Henri Cartier-Bresson, Candida Höfer, Phillip Jones-Griffiths, Rineke Dijkstra. KC: From what I can guess, for people coming from outside of the city, when they come to Liverpool, it’s almost like a separate state, even though it’s reflecting what’s happening in a lot of the rest of the country. I think a lot of Scousers see themselves as slightly different. Whether it’s because England is an island in itself, and on the edge of that island you have Liverpool, so close to Wales, Ireland. It’s such a melting pot of people and it’s gone through so many different changes; from slavery, trade, to the industrial revolution to the decline of industry. Right now we’re going through a period were leisure and tourism is the new industry, and there’s quite a lot of documentation of that. I think it appeals to people because it is such a powerhouse of a city, such a melting pot that’s gone through so many transitions, up and down like a rollercoaster ride. As a photographer, you’d be foolish not to want to document it.